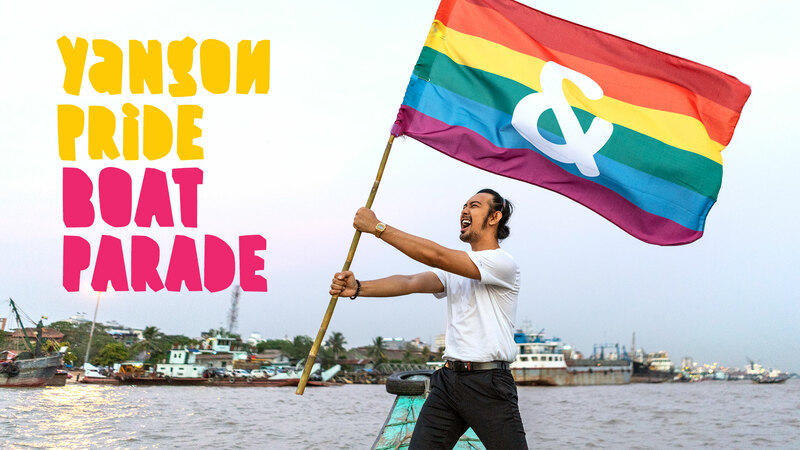 This year, &PROUD will head to the river for the first ever LGBTIQ boat parade in Asia! On January 26th we will have a flotilla of rainbow coloured boats and music for a 2-hour pride party on the river. Join us for a celebration of LGBTIQ equality and to show our colourful community to the city, to the country and to the world! We will have 2 party boats on the river (and a lot of colourful small boats joining us). Both boats have a live music, decoration and a bar - but one boat has a better stocked bar. That's why we have 2 different boat prices: Boat A costs 3,000 kyat, Boat B costs 8,000 per ticket. Since we don't have unlimited tickets, we have limited the number of tickets on sale for foreigners. This is to make sure that the first pride parade in Myanmar is a party for the Myanmar LGBTIQ community. We hope you understand. Tickets for foreigner have the same price: 8,000 kyat. The river parade starts at Botahtaung Jetty at 1.30 PM on Saturday 26th. Don't be late! For up to date info, check our facebook event page!